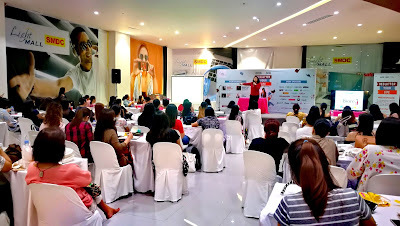 Since I started using the Belle De Jour planner 4 years ago, I always enjoyed attending different #BDJRendezvous and brought home not just lots of goodies and prizes, but priceless learnings as well. And for the first time, I'll be blogging about the most recent BDJ Rendezvous entitled Declutter Your Life. 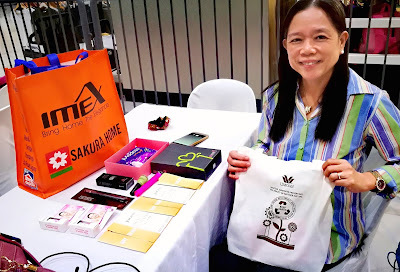 It inspired us, Bellas, by giving us a new perspective about the practice of decluttering, both material and mind. ^_^. 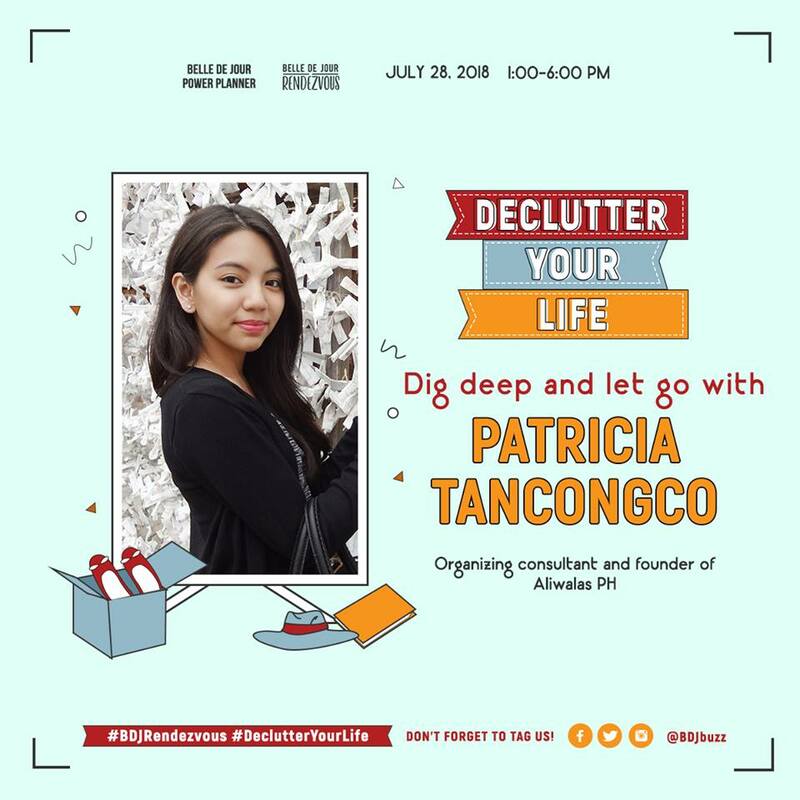 The first speaker was Ms. Patricia Tancongco who talked about how to "Dig Deep and Let Go With." She is the Organizing Consultant and Founder of Aliwalas Ph. • Keeping what makes you happy and healthy and discarding what no longer adds value to your life. • Decluttering is NOT simply cleaning your house, organizing your clutter or hiding your clutter. 2. Visualize your clutter-free future. • Imagine in your mind’s eye your own before-and-after. 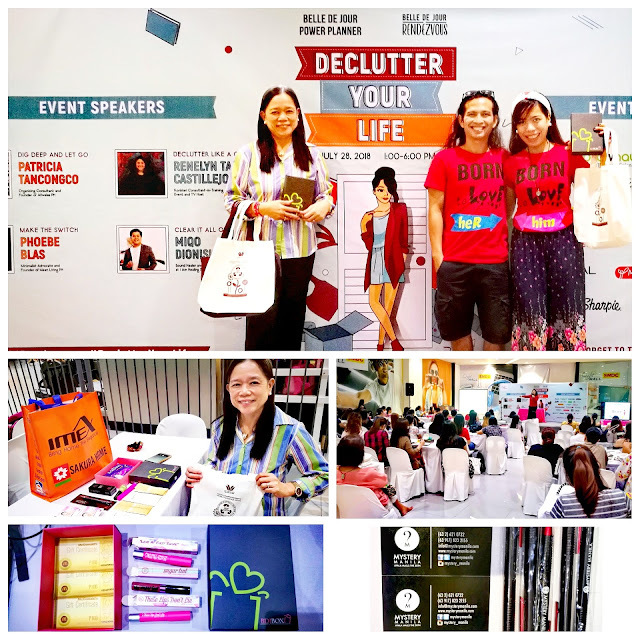 • How will decluttering change your home, your daily life, and you as a person? Finally, she ended with this powerful message"
"Decluttering is not just a chore, but a form of self-care." 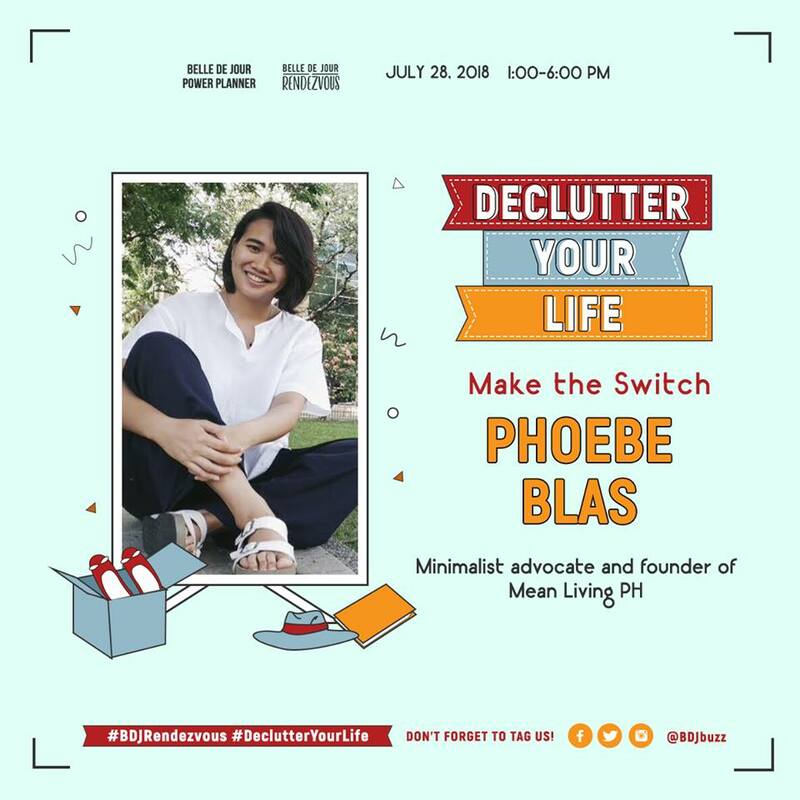 So as part of our event activity, we were encouraged to take the first step on our decluttering journey by bring 5 pieces of clothes that we never use. The BDJ Team will bring them to a donation or recycling center. We surrendered them upon registration and we were surprised to receive GCs, snacks and other goodies in return! The second speaker was Ms. Renelyn Tan-Castillejos who taught us how to Declutter like a Guru! She is a KonMari Consultant and In-Training, and a TV and Event Host. 1. It is a method of tidying up your home in a way that will spark joy in your life and change it forever. 2. What sparks joy for you personally? 3. It is not about discarding. 4. Are you ready for your own tidying festival? a. Commit yourself to tidying up. b. Imagine your ideal lifestyle. d. Ask yourself if it sparks joy. i. Put all your belongings in one pile per category. i. Do not buy storage at the beginning. Storing comes last. ii. Folding clothes is just like origami. It should stand on its own. iii. Be creative in keeping the things that spark joy for you. The next speaker was Ms. Phoebe Blas who taught us how to "Make the Switch." She mentioned the basic rules: to Refuse. Reduce. Reuse. Repair. In this materialistic world, it's very hard to be minimalist, but it's very important to learn how to do it. She also stressed the importance of the Zero-waste management – instead of discarding resources, we create resources that can be fully used. So aside from the 10 clothes that we donated for recycling, we also brought 2 T-shirts and a pair of scissors for the upcycling workshop. We learned how to make an ecobag and turban from our old shirts. In the photo above, I'm already wearing a Korean Turban that my beloved mother, Annie Perez, lovingly made for me, out of her souvenir shirt from our Korea trip. The last speaker was Mr. Miqo Dionisio, a Sound Healer and Managing Partner at I Am Healing Space. He taught us how to "Clear It All Out" through Sound Meditation. 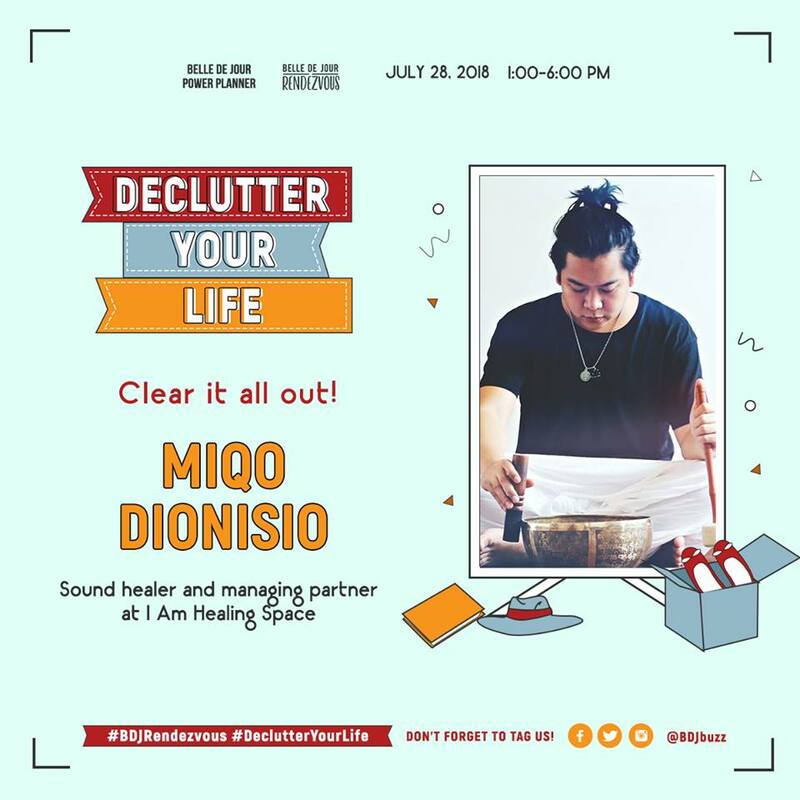 He said that to "Eliminate the clutter in your physical space, you need to eliminate the clutter in your mind." He also stressed the importance of Mindfulness. "I am worthy of all the good things in life." 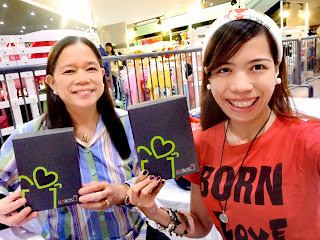 My mom and I won a lot of prizes from the raffle! Here's the BDJ Box I won from the raffle with P300 worth of McDonalds Gift Certificate and a lipstick from Project Vanity. 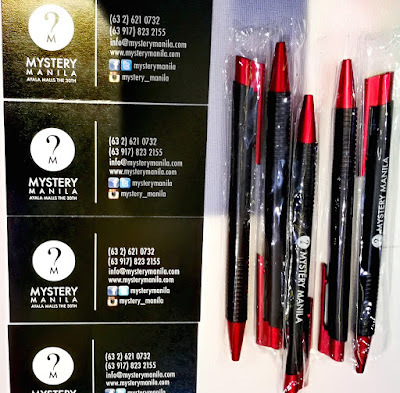 I also won a free entrance to Mystery Manila after our group won in the "Intellectual Game" of opening the locks!